Over 2,000,000 people have used this site to learn how to invest, practice trading, and compete in our monthly contests. 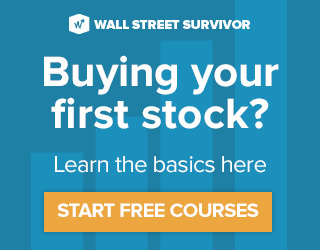 With investing and personal finance courses, a stacked video library and the web’s best stock market simulator, Wall Street Survivor has all the tools you need to get learn to invest. 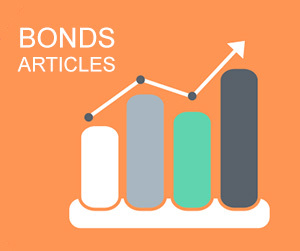 Make learning about investing easy, fun and rewarding. Use fake cash to invest in real companies, under real market conditions. 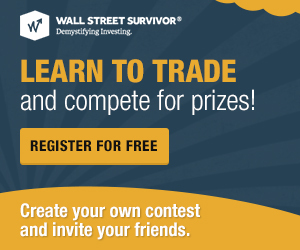 Wall Street Survivor is the home of the web’s best stock market simulator. Practice investing in our monthly contests or create your own stock market game. Learn to take control of your investments with courses and videos. With thousands of articles and videos updated daily, there's no better way to get started! The best way to aquire skills is to practice them. Take our tailored courses to reinforce what you've absorbed. Once you've mastered a skill, be proud and show off your badge to the world! you develop the skills you need to take control of your nest-egg. sign up now to get started today! Jumping head first into investing and managing your money can be scary. Wall Street Survivor turns that fear into fun, while preparing people for a successful financial future.